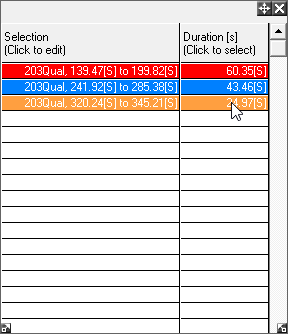 The Selection Scratchpad allows you to store any areas of data that you have selected. You will then be able to return to the selected data as and when it is needed. 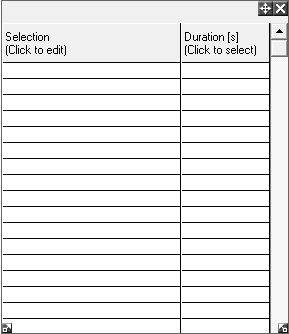 Please note that the data on the selection scratchpad will be available as long as the scratchpad window is open. Openning selection scratchpad from the menu bar will open a new scratchpad window each time so once a scratchpad window is closed, all information on it will be gone. To open it from menu, go to Results > Selection scratchpad. 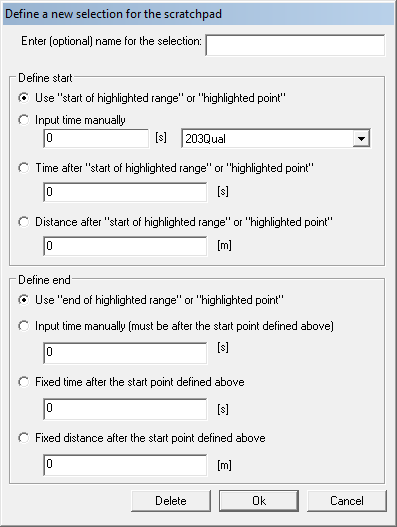 Select the data that you wish to analyze and highlight it. Ensure that the appropriate boxes are checked, so that the start and end of the highlighted area are used to define the selection. When you are satisfied, press OK. This will add a new entry to the selection scratchpad table. A number of different selections may be stored to the Scratchpad. 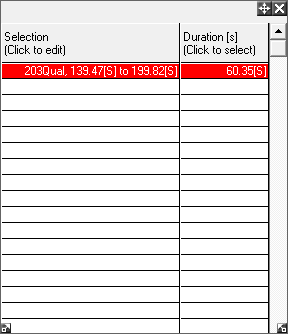 To select one or more of them to analyze, click on the relevant Duration box. The highlighted selections will now be displayed.